Mark packages with inspect immediately so they get the attention they deserve. 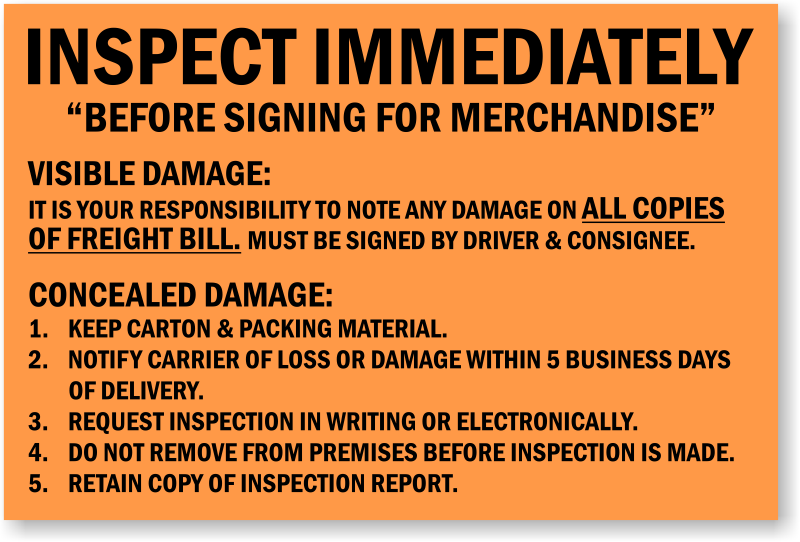 • Educate your customer regarding damaged shipments. Describe the differences between visible and concealed damage. Alert them to save the package and retain copies for a later claim. 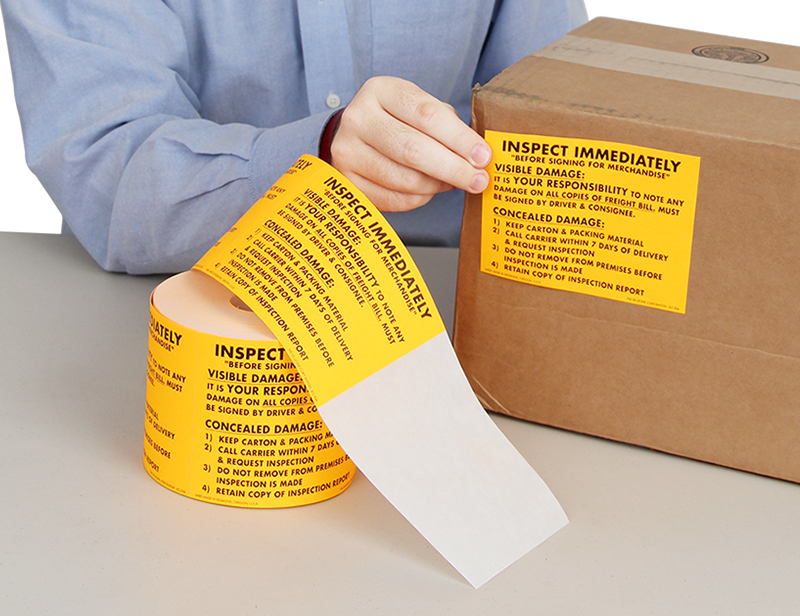 • Aggressive adhesive is specially formulated to stick to corrugated cartons or shrink wrap. • Use a dispenser to organize your label rolls and to make it easier to apply your labels.